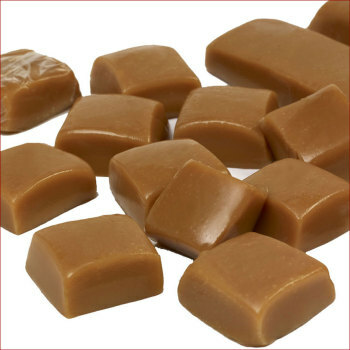 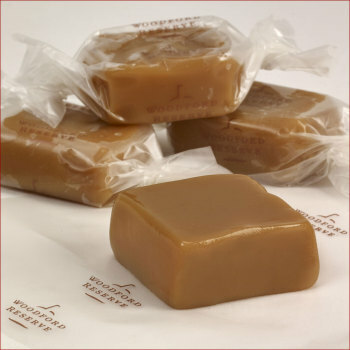 Our classic caramels flavored with Woodford Reserve® Bourbon rest overnight on thick marble tables so that they will be firm enough to hold their shapes when cut into little squares. 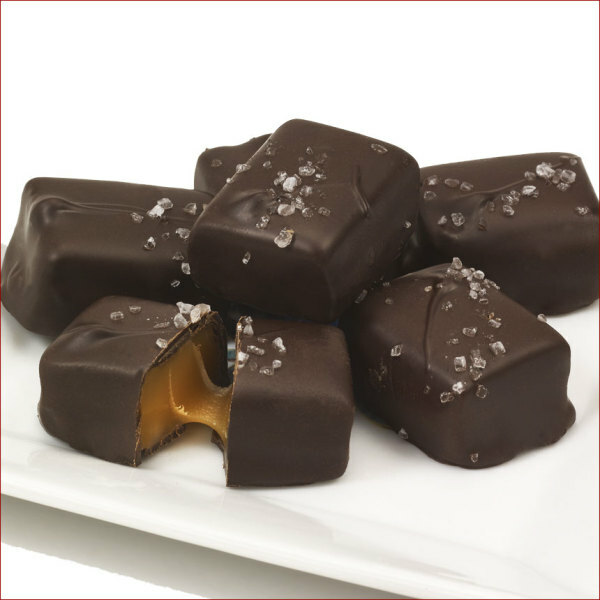 Then placed individually on the chocolate line, the caramels are enrobed in our velvety dark chocolate and sprinkled with natural sea salt. 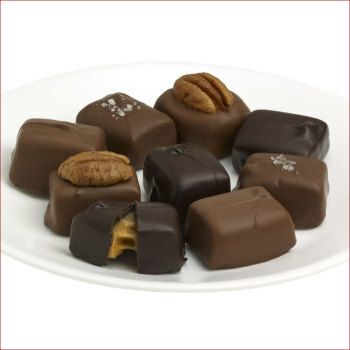 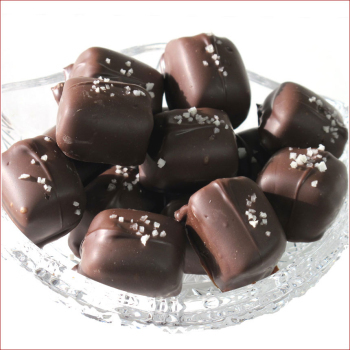 Beautiful confections having a pleasant distinct flavor, your guests will be duly impressed!